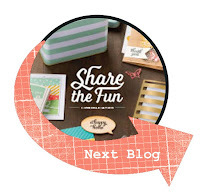 Hello, this week the CASE-ing the Catty Crew are taking inspiration from the Baby section of the Stampin' Up! Annual Catalogue (pages 31-38). 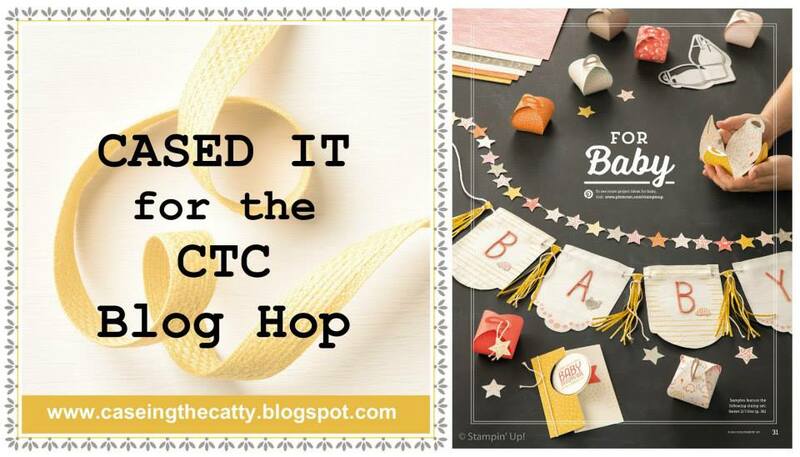 You may have come directly from the CTC blog where there is a complete list of participants. You can also "hop" your way around all the blogs by simply following the links at the end of each post. 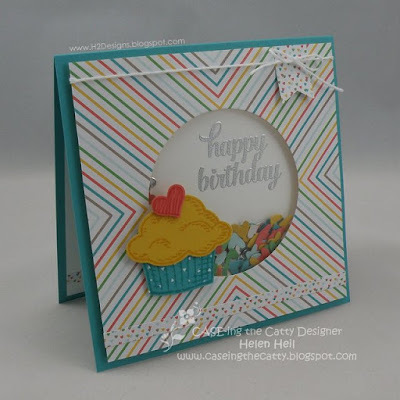 I loved the opening in the card, with the cute little onesie sitting both in & out of the circle. I decided to "step up" the circle & turn it into a shaker, utilising the silver hearts, window sheet & foam circle from the Hello Life Project kit that I used here. This particular print from the Cherry On Top DSP stack made brilliant work of focusing on the silver embossed sentiment within the shaker. A tiny heart print from the same stack was used for the base line element & I also added a small banner under the twine bow to balance the design. I punched extra hearts for the shaker using the heart from the owl punch.